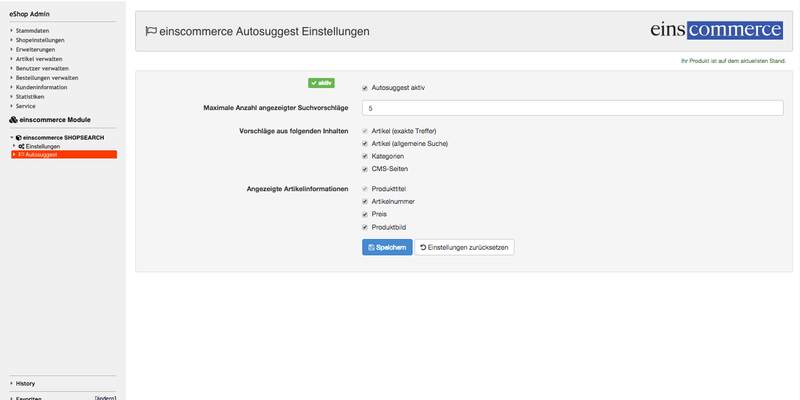 OXID eXchange | Projekteins SHOPSEARCH Autosuggest 1.0.19 | Stable | CE | 4.6.x - 6.0.x | Module, Themes, Language Packs direkt herunterladen! 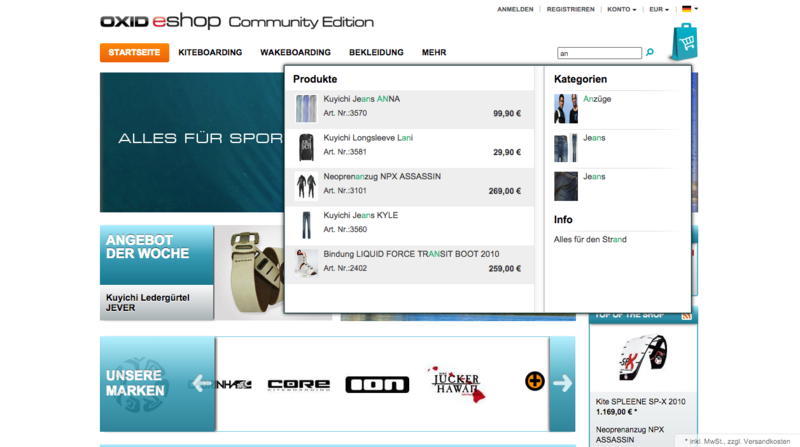 Projekteins SHOPSEARCH Autosuggest is an intelligent autosuggestion module for your OXID eShop. The intuitive autocompletion empowers your clients to quickly find orientation on your shop. Due to continuous suggestions crosselling on your page is supported and conversion is enhanced permanently. There is no registration required and you don’t have to expect any further costs. The suggested contents can be configured comfortably from within the OXID backend. You can easily adapt the styling to you needs via CSS - we can also do it for you, just contact us. The module is designed for fluid work even in huge online shops. This is achieved with light and direct SQL requests. SHOPSEARCH Autosuggest is a standalone module. If combined with SHOPSEARCH and / or SHOPSEARCH Campaigns the module can also profit from typo tolerance and intelligent search contents of these modules.